In 1843 Leopold Heath (later Admiral Sir Leopold ) was appointed Gunnery Lieut of HMS Iris commanded by Capt George Rodney Mundy. 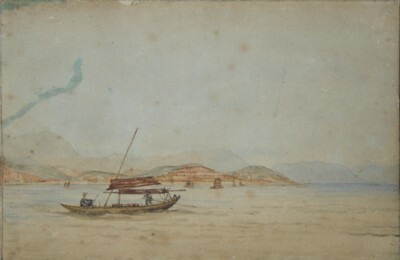 Leopold served an eventful two years in Asia on board HMS Iris and was mentioned in dispatches after seeing action in Borneo. 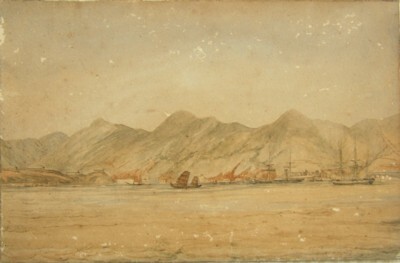 On one of his visits to Hong Kong in 1846 he drew a view of the harbour as seen from his ship. 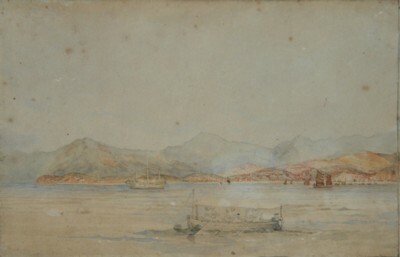 I understand that at the time junior officers were encouraged to draw pictures of harbours for the Hydrographic Office who were then able to reproduce these pictures as a major aid to the navigation of other ships. 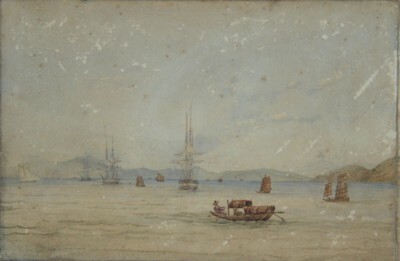 Presumably Leopold's drawing was seen by the Hydrographic Office to be of a good standard and as such was published in 1847 as a set of three black and white prints selling for three shillings. 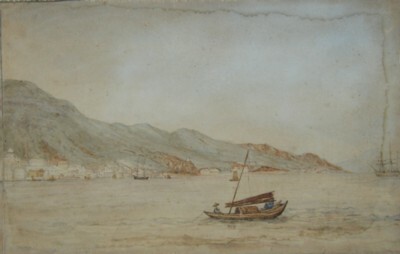 These were titled 'Views - Hong Kong Island and Vicinity' and supplemented the chart made from the first British survey of Hong Kong harbour by Commander (later Captain Sir Edward) Belcher RN, who had landed on the island in 1841, just in advance of the naval squadron arriving to take formal possession of the Colony. I do not know how many of these prints were published in 1847 or how well they sold but in 1991 the Hydrographic Office, in Taunton, re-published a new edition of 300 sets. These were printed from the original copper plates and individually coloured by hand. Inflation had of course increased the price, as had the costs of hand painting, and these new prints were on sale in 1991 for £900 for a set of three. A small promotional brochure was produced, giving an overview of the history of the views and the method of printing using intaglio techniques. I do have one set of these 1991 prints for sale (if you would like to know more click here or contact me jj@jjhc.info ). 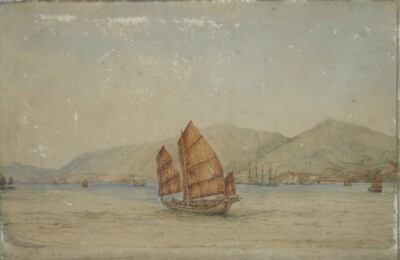 From the above drawings the Hydrographic Office produced three copper plate engravings of the panorama. 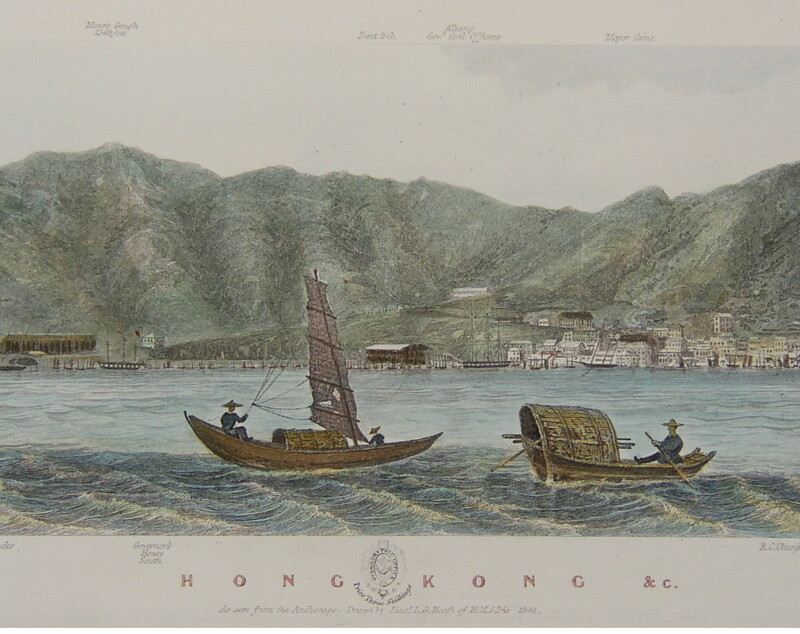 These were first published in 1847 as black and white prints and then republished in 1991as hand coloured prints. 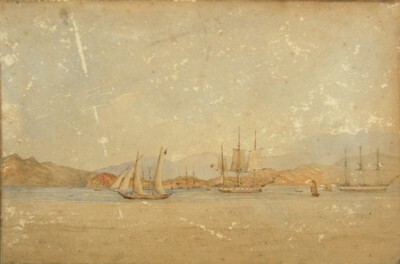 The set of three prints placed end to end. These hand coloured prints are from the 1991 issue. 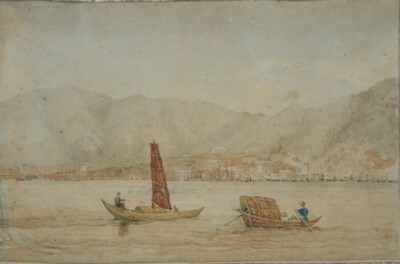 There is also a very good moving image of this print on the following website http://brianseed.com/1847.html from Brian Seed Fine Art in Hong Kong.